CRAZY COOL GROOVY!!! : UNEARTHED FOOTAGE From 1976 Of SYLVERSTER STALLONE & CARL WEATHERS BOXING TRAINING For ROCKY!!! UNEARTHED FOOTAGE From 1976 Of SYLVERSTER STALLONE & CARL WEATHERS BOXING TRAINING For ROCKY!!! 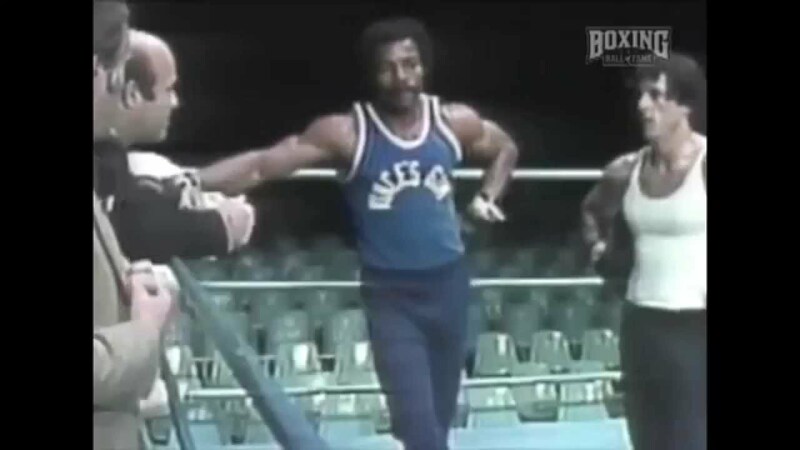 Footage has just recently surfaced of SYLVESTER STALLONE and CARL WEATHERS enduring boxing training-choreography to portray Boxers ROCKY BALBOA and APOLLO CREED for the iconic 1976 film ROCKY!!! Little did the worlds of sports and motion pictures know that this 1976 film classic would become the catalyst for a franchise of eight films, centered around the city of PHILADELPHIA, which includes the forthcoming CREED II, which is scheduled to begin production later in this year. Twitter video is courtesy of ABC NEWS Producer MEREDITH FROST.